The lure of gold and a better life brought thousands of people to brand new towns across the Wild Wild West in the hopes of striking it rich in the 1800s. After the dust settled, the mining towns went from booming businesses to ghost towns, but their history lives on. See the pictures and hear their stories. And if you want to, you can actually go visit these cities where buildings and ghosts remain. In 1859, William Bodey found gold in central California, unfortunately he never lived to enjoy it as he died in a snowstorm that year. But, his name lives on (despite the minor misspelling) when the town of Bodie grew from 20 miners to approximately 10,000 people by 1880. It was a true Wild West town with murder and mayhem but that didn’t stop it from flourishing. However when a major fire destroyed much of the town in 1932 it was eventually abandoned. 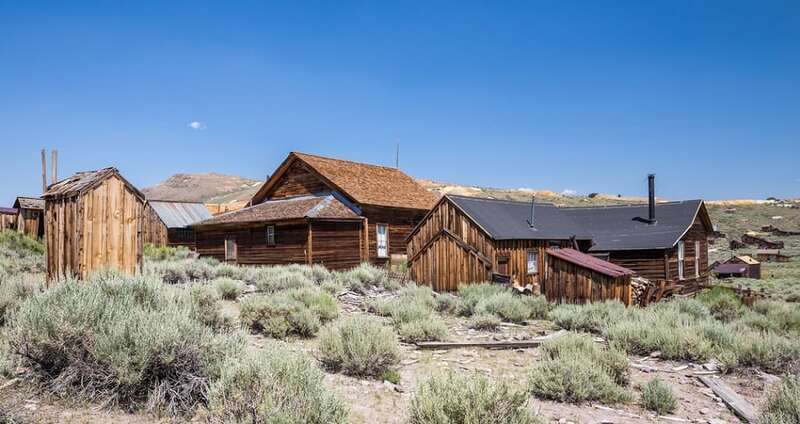 Currently it is a true ghost town, as visitors are afraid to remove anything to the “curse of Bodie”.